Home - SUBfloor Sdn. Bhd. Fresh water is one of our most vital resources, and when our water is polluted it is not only devastating to the environment, but also to human health. 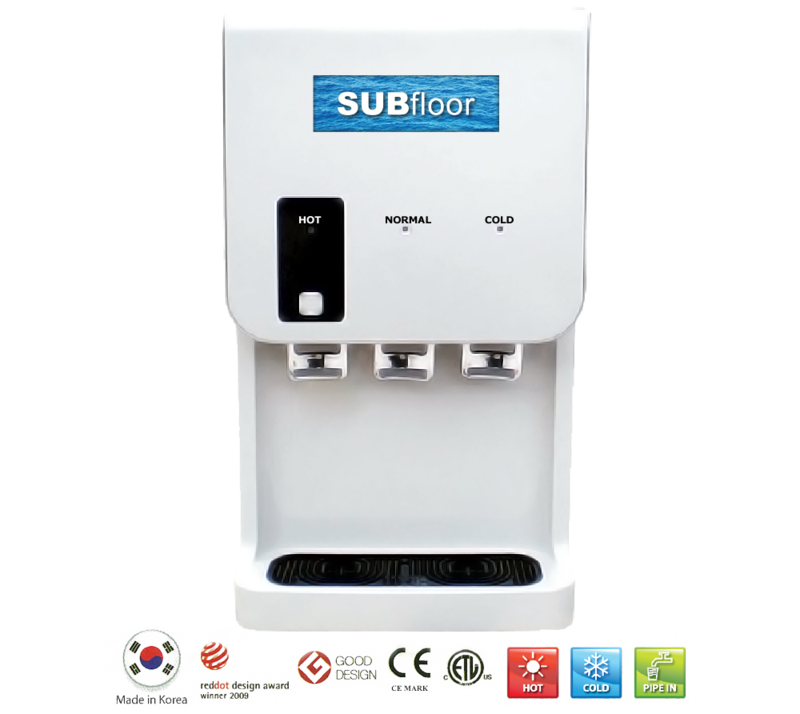 Hot or cold water, you can enjoy it fresh and pure at the press of a button with the Subfloor Water Purifier and dispenser. STYLIST DESIGN It emphasizes the harmonious match the elegant curves design considering the combination of kitchen appliances around. ECO SYSTEM FOR ENERGY SAVING! Heating system automatically stops when it becomes dark at night. Cooler will be working automatically when the sensor detects light. 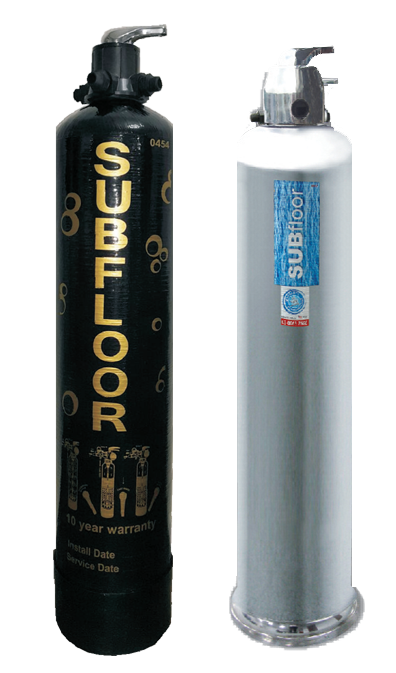 Subfloor water Filtration System effectively removes impurities from the main water supply that goes to your home, providing your home with clean and healthy water. 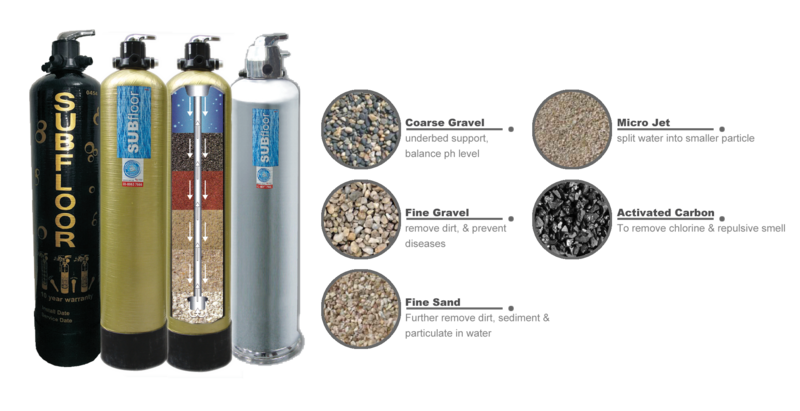 It thoroughly removes germs, metal rust, mud and all kinds of residue from the water contamination inside aged piping systems. 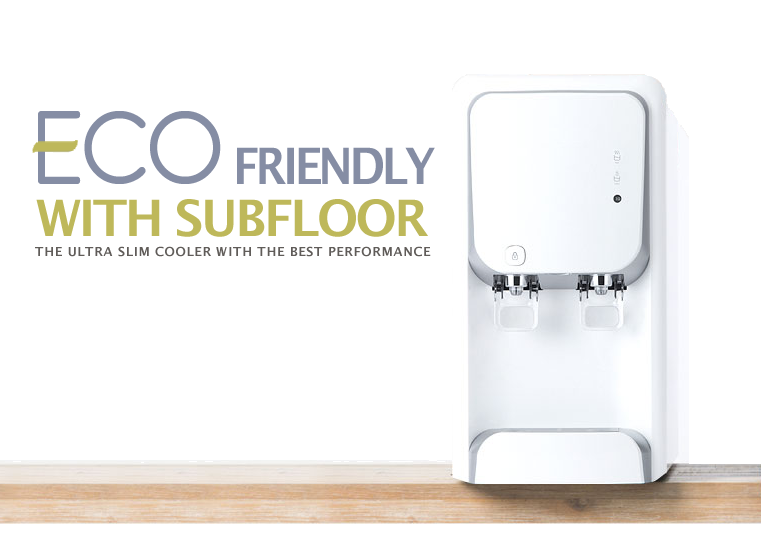 Uniquely designed with a Backwash and Flushing function, this user-friendly product promises easy maintenance and care.